The reasons Liu Yi chose to return to China are entirely personal, related to the specific circumstances of her life, both growing up and beyond. In some simple way, she returned to China in search of home, and has finally found it. 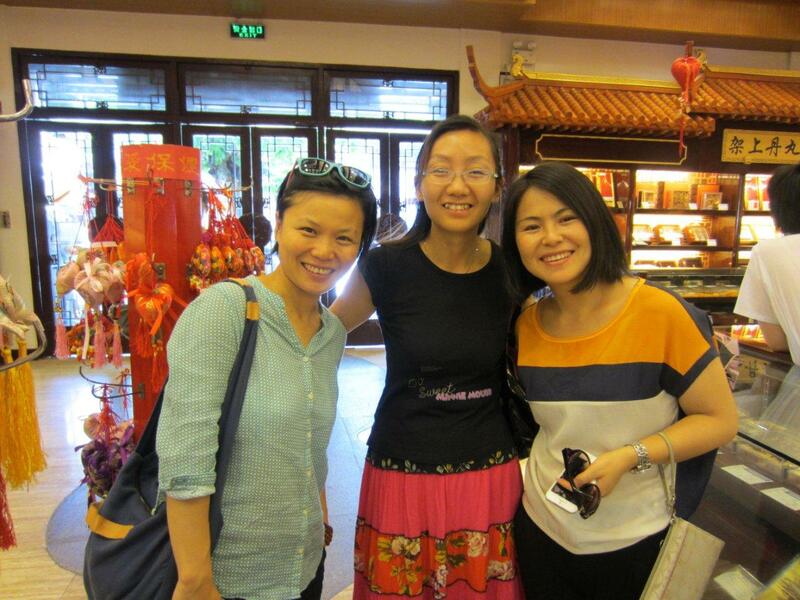 In addition, Liu Yi (in blue) didn’t find an outlet for her deep passion for life and meaning in the variety of schooling and working experiences she tried out. 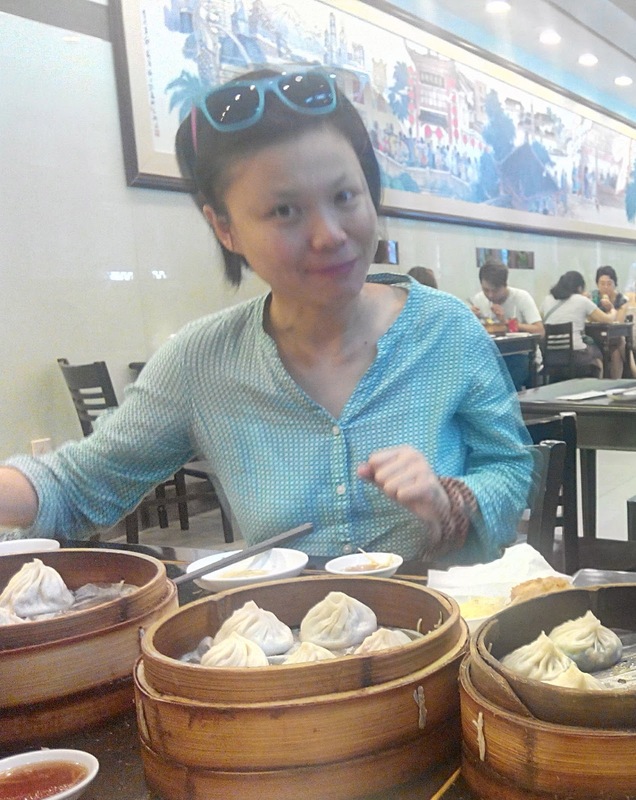 Even after going back to China, she still experimented in a couple of places before finally settling again in her home town and finding the right path to contribution by taking on bringing tools to people who are working to find freedom and meaning in their lives as well as contribute the same to others. As our conversation continued, I was more and more surprised. I felt a bond of inexplicable affinity with this woman I had just met. How could it be? What was so compelling? Could it be the shared experience of living outside our country of birth for years, or that of having a challenge around finding home, anywhere? Although I have lived in the USA for thirty years, and have no intention or desire to go back to Israel, in some ways I experience myself in exile. It is a voluntary exile, and still, the smells and the language and the fundamental ways of being that are woven into the fabric of what’s familiar to me are still back in Israel in some way I cannot explain. I only know the experience of immediate home that sprang on me, unannounced, when a group of Israelis has gotten together recently in the Bay Area to sing Israeli songs once a month. The immediate and visceral familiarity is simply there, regardless of whether or not I like any particular individual in the group. And so it was that the connection with Liu Yi invited me, us, further into conversation, into honest sharing, into finding threads of meaning across our many differences. And so I told her about my own relationship with China. Like many in the West, I grew up on the implicit belief that communism was fundamentally flawed and directly opposed to human nature. Most of what I knew about communist countries was about the level of repression and constraints around freedom of speech. I moved to the USA in 1983, when I was 27, and still fully believed in this picture of reality. By the time I saw the movie Round Eyes in the Middle Kingdom in 1996, I already had significant misgivings about the easy faith in capitalism, deep concerns about USA foreign policy in the world, and more questions about world politics and economics than I ever imagined I could settle. The movie shook up some remaining pieces of my invisible edifice of assumptions about communism. 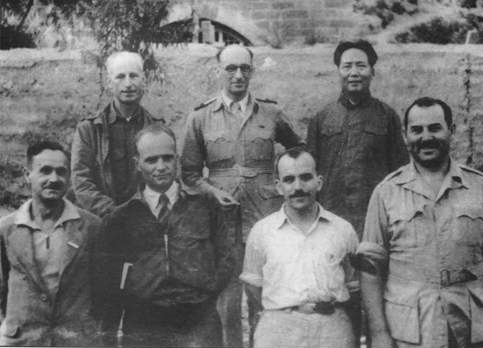 The central figure in this documentary movie is Israel Epstein, a man who chose to join the Chinese revolution in the 1950s, and stayed there, loyal to the ideals of communism, despite being imprisoned for five years during the cultural revolution, until his death in 2005. Epstein, along with the movie director, himself born in Shanghai to Jewish parents who escaped from Nazi Europe and then fled China when he was five, both represented and engaged with deep levels of complexity. If my memory is not inventing something, I remember Epstein walking around in a circle in a courtyard as he recited the poem. The other gift was more painful, searingly so. It was footage from before the revolution. The images of misery (I am sparing those with sensitive souls the gruesome details) are etched in my heart, along with the tears and fury I experienced at what I then saw as deep hypocrisy on the part of Western countries, who were eager to criticize China without offering any alternative solution to the unimaginable problems of feeding such a huge population. I am no fan of communism, state rule, or central planning. Still, I cannot but be in awe of the clear commitment on the part of all communist regimes to ensure that the entire population has basic physical needs attended to along with health and education. Without the revolution, all that the West had to offer China was more of what was there before, more of what keeps billions in the world hungry and desperate. In view of this, I dared to tell Liu Yi that I really wasn’t sure whether I could endorse the changes happening in China, certainly not a wholesale embrace. And when I looked at her, I could tell, immediately, that we were together, holding complexity. Her own choices attested to her understanding. After returning to China, she initially chose to live in Southwestern China, one of the most remote areas, leaving her family perplexed. As she said to me in a follow-up exchange, “For the older generation in Shanghai it is just unthinkable to leave the place which has the best material conditions in China.” Capitalism thrives on the desire of all of us for more comfort, better material conditions. One of Communism’s failures, as I see it, is the insistence on giving up pleasure, individuality, even beauty. Liu Yi’s experience of Communist education was harsh, leaving her with a longing for different learning experiences which she is now creating for others. Some of the people attracted to Nonviolent Communication in China are a new generation of full-time mothers, defying the harsh ethos of work, education, and parenting that existed under communism as well as the Western ideal of liberation for women through work. A complex mix. And, yet, neither capitalism nor communism hold the key to solving the monumental challenges that being an over-consumptive, over-productive species holds. We both could articulate that complex view that challenges almost everyone. Yes, I want individual freedom, I treasure initiative and personal responsibility. I shudder, at the same time, about the cost: the alienation, runaway consumption, concentration of wealth, and so much else that capitalism brings with it. Similarly, I am so touched to know that some places on the planet, those still upholding some version of communism or socialism, are still committed to collective caring and attending to everyone’s basic needs. I am, nonetheless, appalled by the repressive apparatus, the pressure to conform, the fear of reprisals for dissent. (As Liu Yi reminded me, the media are still controlled by the party, and there is still no significant room for dissent. I get it: the growing individual freedom is mostly economic, not political.) I want neither of the costs and I want both of the benefits. I was surprised when the tears started coming, the joy of finding such unlikely camaraderie. I hadn’t fully realized how much anguish was living in me about not trusting that many others would see that challenge with me. The relief was beyond words, hence the tears. Without seeing it coming, I literally found myself talking about my own country of birth, the one I chose to leave, for very political reasons. It was the focus on complexity that brought it on. Once again, I shared with Liu Yi, and once again she understood, the loneliness of holding Zionism as being, at once, a national liberation movement and a system of oppression; not one or the other, as most narratives hold. In 1991, during the first Iraq war, my sister put together a sign we both marched with. It said: “I am pro-Palestinian and pro-Israeli.” I have shied away from any involvement in Middle East peace movements because I could not see them except through the lens of being asked to hate my country of birth. I will not. (And I am aware that this may be my own interpretation, not what people actually want of me.) I equally cannot find an easy way to talk with those who accuse anyone who criticizes Israel or Zionism of being anti-Semitic. The complex tragedy of the region is that Zionism is truly both: the gift of liberation to a people persecuted for centuries, and a brutally oppressive system for another people that has never known independence. I don’t see good guys and bad guys. I see two peoples, traumatized by events which are different and partially related, with equally deep longings for the same piece of land, lacking imagination about how to sort it out. The absence of good buys and bad guys was also apparent for me in the wars against Saddam Hussein. In the traditional model, either he or George Bush would have to have been “good guys” fighting the “good war.” In my understanding, the complex one, this was a war in which I couldn’t find a way to sympathize with either party, only with the suffering people who were pawns in this great struggle. Perhaps if we can hold complexity collectively in a much more effective way, there will be no more war. In the days leading up to this writing, I came back to the USA from Thailand only to hear of Zimmerman’s acquittal (the white man who, a year ago, shot and killed Trayvon Martin, an African American youth). Hearing of the verdict, I was beset by so many reactions. Now, a few days later, sitting here to choose what on earth I can say in the face of this event, I am still mostly paralyzed. So I start with others’ words. Because today’s topic is complexity, I want to share two articles that touched me in particular, both of which hold a complex position in response to the aquittal. One is Michael Lerner’s “Trayvon Martin: A Jewish Response“. In the context of having just written about my own complex perspective about Zionism, I found the version of Judaism he presents refreshing, allowing me access to grief about the way things are without disconnecting from the events themselves. “Most of Jewish theology,” says Lerner, “sees karma as playing out on a societal scale, and over the long run.” I find home in this view, even and including the realization that interdependence means that people who have done no harm will suffer consequences alongside those who bring about the harm. Truth liberates, even through pain, and I breathe more fully. The other article that caught my eye is Joshua DuBois’ “The Enduring Rift: Understanding our inner Trayvons and inner Zimmermans“. Something was heartening about reading of a Southern Baptist leader, Russell Moore, who speaks fully and openly about the rift between blacks and whites, about having two different experiences, two different conversations, and calls on white Americans to recognize the social and political context within which a killing such as that of Trayvon takes place. That is exactly what the court apparently forbade in insisting that racism not be discussed as part of the case. Something was hopeful, in the midst of the incomprehensibility, about having Representative John Lewis, a prominent black leader, say that “any meaningful action on the topic of race must begin with forgiveness,” referring to James Lawson, one of the key theoreticians and strategists of the Civil Rights movement, as the source. All of which allows me to experience my own complexity. I find it demoralizing to live in a world where the only way, in a situation like Zimmerman’s killing of Trayvon, that the reality of how race operates in USA society can be recognized is through conviction and punishment. I want to go beyond recognition of the existence of an oppressive system that makes the lives of millions fraught with ongoing dangers, summed up so poignantly in DuBois’ fiancee’s words: “Can they really just kill our kids?” I want that system to be transformed! Would a conviction of Zimmerman change race relations in the USA? I doubt it! And yet, like so many this week, I find the acquittal crushing to my soul. What I really want is new options other than conviction or acquittal. I want a way for the conversations to be had, for the systems to be transformed. More than anything, I want a restorative process that would allow for the fullness of all to be held, with full responsibility and with complete compassion. Click here to read the Questions about this post, and to join us to discuss them on a conference call: Tuesday July 23, 5:30-7 pm Pacific time. This is a way that you can connect with me and others who read this blog. We are asking for $30 to join the call, on a gift economy basis: so pay more or less (or nothing) as you are able and willing. http://www.psysr.org/jsacp/Lyubansky-v5n1-13_59-72.pdf is an article about the Martin-Zimmerman situation that offers new options beyond conviction or acquittal. Thank you for sharing such thought-provoking posts. Thank you so much for bringing this article to my attention. I thoroughly enjoyed it. I am deeply familiar with the restorative process described, and hope that someone, somewhere, may find a way to initiate such a process in this case. After further conversation with Valerie, I want to add some things I have reflected on to my original post and comment – for my integrity and to honor the millions who died. Thank you Miki – even though I agree with you that the acquittal of Zimmerman was painful, I also agree that a conviction would have had very little positive change in race relations in the USA – perhaps it would simply enabled more people to go back to sleep for a little while longer. The dream of having a restorative process to hold the larger discussion is a beautiful and awe-inspiring vision.